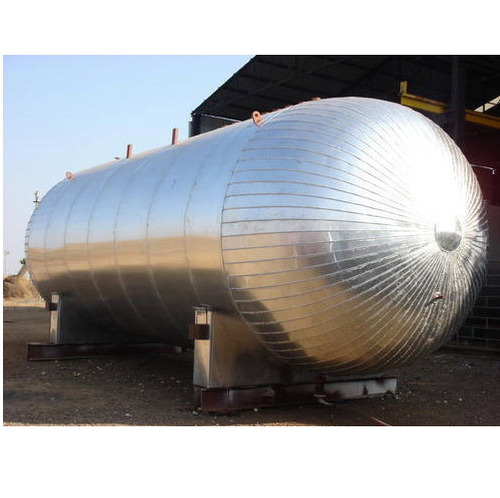 We manufacture a precision engineered range of PUF Insulated ISO Tank, which is widely used for liquid storage purpose & underground purposes. These are designed as per client specifications and can store liquids and gases under high pressures. Further, our range is stringently checked for excellent performance, quality, durability and flawlessness. We offers a superior range of pressure vessels to clients in global markets. These vessels are available In Horizontal As well As in vertical Arrangement. ISO Container is manufactured for transporting liquid carbon dioxide by truck or ship to destinations worldwide. ISO Container Hold time from 250 psig (17.2 bar) to 350 psig (24.1 bar) is greater than 30 days at 122F (50C) without the use of a refrigeration system. ISO Container is manufactured for transporting liquid carbon dioxide by truck or ship to destinations worldwide. ISO Container Hold time from 250 psig (17.2 bar) to 350 psig (24.1 bar) is greater than 30 days at 122°F (50°C) without the use of a refrigeration system.